In the last few months several of my clients have made the jump from using Microsoft Exchange to using Google Apps. Initially this has just been for email, calendar and contacts but has since morphed into using Drive as well. At my office we have also made the change, but our split in staff - half telephony and half IT, means that the IT guys have really taken it on board, more so in fact than the telephony chaps. Recently I was working with some gents from another organisation still using Office - we were using tethered laptops to exchange spreadsheets with simple data in them - at least they were doing it that way. I was getting the spreadsheet, importing it to Apps, updating it and sending it off. The beautiful thing was - I was doing it from my iPhone, HTC and my Google Nexus - same file, updating straight away and then emailing back to the guys - brilliant! And with offline files enabled it was even easier - I could still access files via Chrome and makes changes. The sync worked very well once networking was restored. As more of my clients use Google Apps, more of them are questioning the need of having Microsoft Office on their PCs. After all, for the relatively low price of $5 per month per user for Google Apps Business software updates are included and the end user is always on the latest version of the office software - a definite advantage over the constant upgrade process one goes through with the various offices... not just Microsoft Office. Sharing files between people, both within the organisation and outside the organisation are quite easy. Even sending it to people without Google Apps is easy - files can be sent as PDF's or converted to Microsoft office files. Sharing and modifying files at the same time with people is easy, Apps notifies you of what is being altered and who is connected to it - a handy feature if, for example, two colleagues are updating a Sheet with details of different computers, without accidentally over writing the other person's data. Very useful. The touchpad and other pointing device are efficient and work well. 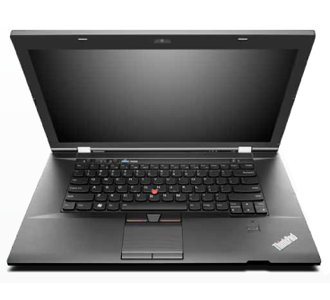 I was surprised and impressed also by the efficacy of the wireless - it has been more efficient and connects at higher speed than my other notebooks, including the HP6560b. The built in GPS is pretty neat too - although I'm not sure what the hell I'm going to do with it :-) Generally I remove a lot of the pre-installed software, but I have of course left the Lenovo software, which is gradually improving all the time and it's usefulness is improving as well. I installed 1.6GB of updates in the first two hours of having this laptop which is indicative of Windows 7 out of the box. I had a spare 4GB of RAM laying around so I installed that for fun.